In the world of interior design there is no better accessory than decorative throw pillows. In terms of bang for your buck you simply can’t go wrong with these potent little design power houses. From living rooms, to bedrooms, studies, and club basements there are endless options that make accent pillows perfect for any living space. There are several types of throw pillows which come in a variety of shapes and sizes that are usually categorized by their manufacturing process, but in terms of design never get caught up in needlepoint versus embroidered, aubusson or silk, simply go with what feels and looks right with your decor. Traditionally people usually purchase pillows that go along with other pieces of their interior design such as rugs or drapes. While this is a wise decision in terms of color palette, do not limit yourself to the tone and style of these pieces. When working on a neutral back drop such as a beige couch or tan love seat feel free to go crazy with the throw pillows. This is what’s so great about these little guys; you can literally change the whole look of your living room for under a hundred dollars. Since the couch is always the focal point of the family room use it as a showcase of your personal design sense with your accent pillows. If you’re aiming for some modern, chic, uptown flair consider bold sold accent pillows in shimmery textures such as silk and nylon. For the minimalist you don’t want to get too heavy into patterns or intricate needle work but thick stripes, polka dots, and simple geometrical designs work great. Have fun and experiment with different motifs in warm earth tones such as green, brown, tan, and eggshell white. To add a touch of class you may even consider tasseled or fringed pillow designs that usually go well with this theme. The above are just a few suggestions but please don’t use them as a template, accent pillows are all about discovering and expressing your personal style. 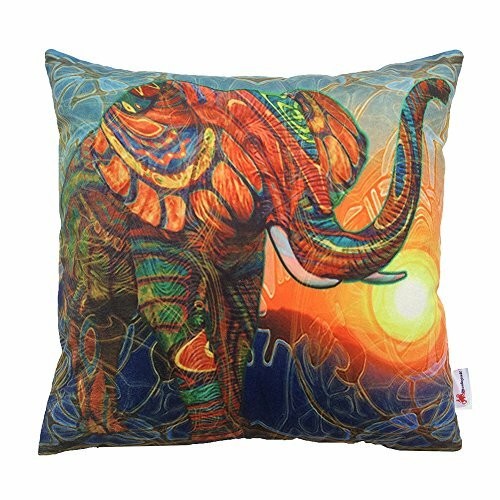 You can find great deals on pillows for under $20 dollars apiece and covers for even less so don’t be afraid to get out there and try a few different design themes until you find the pillows that best express your style.